Titled "India State-level Disease Burden Report and Technical Paper," the comprehensive report indicates that although the disease burden due to malnutrition dropped in India substantially since 1990, it is still responsible for 15 per cent of the total disease burden in 2016. 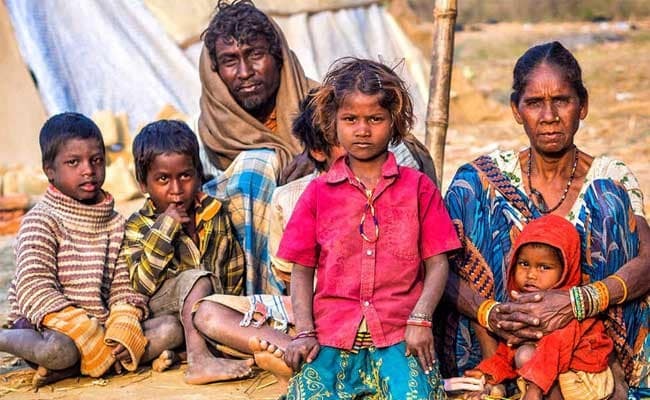 New Delhi: Disease burden due to child and maternal malnutrition in India was 12 times higher per person than in China in 2016 even as the life expectancy at birth in the country improved by over a decade, a report said today. Titled "India State-level Disease Burden Report and Technical Paper", the comprehensive report indicates that although the disease burden due to malnutrition dropped in India substantially since 1990, it was still responsible for 15 per cent of the total disease burden in 2016. "This problem is major in the Empowered Action Group states (states that receive special development attention from the government) and Assam, and higher in females," said the report which analysed disease burden for each state from 1990 to 2016. The report was launched today by Vice President M. Venkaiah Naidu, who called for immediate tackling of high disease burden caused by malnutrition. According to the report, child and maternal malnutrition contributes to disease burden mainly through increasing the risk of neonatal disorders, nutritional deficiencies, diarrhoeal diseases, lower respiratory infections, and other common infections. The report said Kerala had the lowest burden of malnutrition among the Indian states, but even that was 2.7 times higher per person than in China. The report is a joint effort by the Department of Health Research, Indian Council of Medical Research and the Public Health Foundation of India. It said the contribution of most of the major non-communicable disease groups to the total disease burden had increased all over India since 1990. These diseases include cardiovascular diseases, diabetes, chronic respiratory diseases, mental health and neurological disorders, cancers, musculoskeletal disorders, and chronic kidney disease. Among the leading non-communicable diseases, the largest disease burden or Disability Adjusted Life Years (DALY) rate increase from 1990 to 2016 was observed for diabetes, at 80 per cent, and ischaemic heart disease at 34 per cent. DALY is years of healthy life lost due to premature death and suffering. "The highest proportion of disease burden due to injuries is in young adults. Road injuries and self-harm, which includes suicides and non-fatal outcomes of self-harm, are the leading contributors to the injury burden in India. The range of disease burden or DALY rate varied three-fold for road injuries and six-fold for self-harm among the states of India in 2016," said the report. According to the report, there is no consistent relationship between the DALY rates of road injuries or self-harm versus the stage of epidemiological transition of the states. The burden due to road injuries was much higher in males than in females. "Tripura had 49 per cent higher per person burden from ischaemic heart disease. Punjab had 157 per cent higher per person burden from diabetes and 134 per cent higher burden from ischaemic heart disease," said the report.